Sue Ford has sold over 130 magazine pieces for children and adults. Sue writes for children under her maiden name, Susan Uhlig. 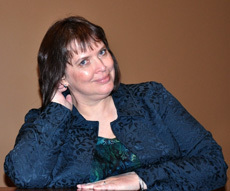 She has been an active member of the Society of Children’s Book Writers and Illustrators for 18 years. She also is an instructor for the Institute of Children’s Literature. Sue’s website susanuhlig.com has writing resources and recommendations of children’s books. She is currently marketing a tween novel. This picture book about international adoption was chosen as a 2000 Read, America! Collection Selection. Cliff Diver, an article Sue sold to Child Life, is being used by Kansas in their reading assessment test. She has written short stories and articles for a variety of children’s and adult magazines–secular and Christian, print and online–including Highlights for Children, Cricket, Jack and Jill, and Children’s Writer. She currently has some articles on the Institute of Children’s Literature website in their Rx for Writers section. Availability: Daytime, evenings and Saturdays. Contact Sue at sue-at-susanuhlig.com for specific availability.